C Media Creative team was honored with the Silver Award at the "Power of Cityscape" category under the Maze Awards 2016 for our outstanding FTLife Brand Launch Advertising Campaign. The Award ceremony celebrates the most innovative, creative and stunning staged at all outdoor advertising platforms such as Bus Shelters, Tramcars etc. The category "Power of Cityscape" honors the campaigns that take up full advantage of the Bus Shelter and Body, achieving the widest brand attention and awareness among target audiences. 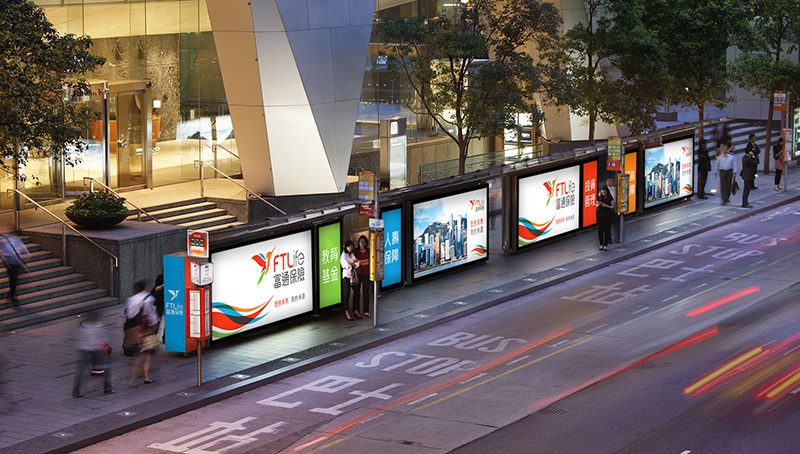 Our strategic media planning and creative design, which symbolized and communicated the message of FTLife's brand launch in Hong Kong, have extensively impacted the passersby.